Waltz With The Devil | Musings on Philosophy and Religion. If you Waltz with the Devil Reason, the Devil don't change! Actually, I don’t know if I ever read it. I’ve seen so many movies based on the book, most notably the iconic Universal Pictures version with Bela Lugosi, that the story, or it’s main elements, are extremely familiar. It was time to put that uncertainty to rest. However, there was another motivation. My son, knowing my fondness for all things Dracula and Icelandic, came across this most unusual find. 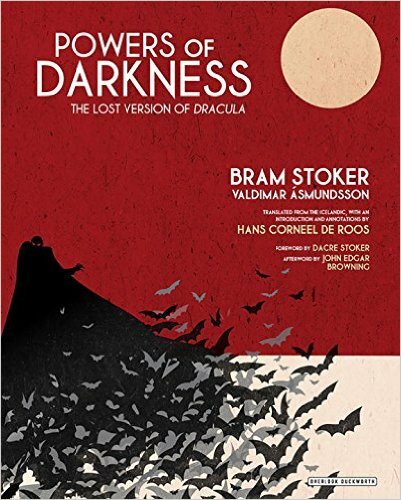 There is an Icelandic version of Dracula with a Preface by Bram Stoker himself. Long thought, that is for 100 years since it’s publication in 1901, to be simply a translation, it turns out to be largely a rewrite. The mystery is it’s provenance and how Bram Stoker and Vladimar Asmundsson came in contact with each other, how they arranged to produce this version and why it is so different from the original. It is, unmistakably, a version of Dracula. It contains plot elements which are only found in Stoker notes and research and never found their way into the original. This indicates it’s authenticity as well as originality. The story was originally published in a newspaper, as a serial, by Amundsson; the newspaper he owned and op erated. Likely the differences are due to it’s original venue and intent. However, it later was published as a book. It was little known even in Iceland and certainly in the wider world. No one bothered to look beyond the preface by Stoker until Hans De Roos, out of curiosity started to translate the rest of the book. It became immediately evident this was not simply a translation. De Roos has put out a nice hardcover edition which includes a preface by Dacre Stoker, his introduction regarding the finding of the version and speculation on it’s history and origin as well as his own translation of Stoker’s preface as well. I decided I needed to read the original before dipping into this gem! I highly recommend it to fans of Bram Stoker and Dracula. Those who defend religion are fond of “mystery”. Once they have abandoned the plebeian confines of fundamentalist literalism and the slavish enthrallment to “the book”, the core of the religious enterprise becomes mystery. It becomes the raison d’etra of the entire religious enterprise and represents the best, the deepest, the most genuine religious sentiment. In fact, it becomes what compels them to be religious in spite of themselves, in spite of their reason, and in spite of the “knowing better”. They are flummoxed by mystery and they lie bewildered and speechless in the face of it and moved to devotion. Science on the other hand is the supreme buzz kill it seems. When intoxicated and high on mystery, science comes along and tries to explain everything. Wonder is not enough. Awe is insufficient. Being humbly, staggeringly stunned at the immensity and complexity of the universe is apparently inadequate to escape the charge of hubris leveled at those who reject “mystery” as the foundation of the universe and as the unassailable and purist motive for the religious sentiment they eschew. In this sense Mystery does not represent the unknown, science certainly bows to what is unknown. Mystery is about the “unknowable”. It reserves some aspects of reality to a special class of the real which cannot ever be known. It isn’t just that it can’t be known by reason and empirical investigation and evidential proof. It cannot be known at all! It is beyond the pale of words, or concepts of thoughts and even perhaps intuition. It can only be hinted at, fleetingly glimpsed on the periphery of ones consciousness and felt rather than known or even conceived. As a result, it cannot be in the proper magisterium of science or what we normally know and how we know it. This is the Wizard of Oz Syndrome. People want there to be a Wizard! When Toto sniffs out the Wizard and Dorothy draws back the curtain, everyone goes “awwwwww, that’s disappointing, we thought it was REAL magic”. The “Wizard”, gives the Scarecrow a diploma, the Lion a medal and the Tin Man a heart shaped watch and says, “you know, you had it in you all the time, you didn’t need a Wizard or magic”. Dorothy could have gone home at any time, all she needed was to want to, “There’s no place like home”, rather than running away. What you need for transformation is in yourself or in you in relation to others. In fact, they had already changed as the result of their journey together. Then again, that’s humanism and not the new theism. We still want the mystery. So, anything that isn’t explained or currently explainable becomes, “mystery”, unknown and unknowable….until it is, known that is. The current candidate is “consciousness”. Because the relationship between the physical and the mental and how the latter arises from the former is the “hard” problem, it has become the intractable problem, the unsolvable problem, the ultimate mystery and the ground of all honest religion. The presence or rather the sense of “what is is like to be me” to experience Beauty, Truth and Goodness, to have the sense of all those ineffable feelings, means that must be a God. 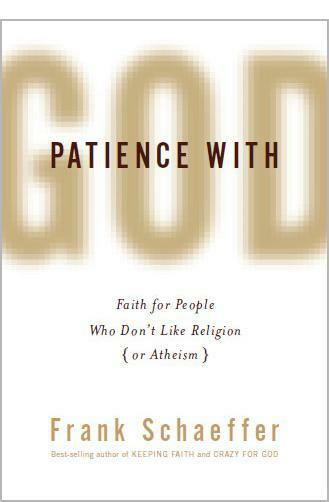 Frank Schaeffer in his book “Patience with God”, calls it “Hopeful Uncertainty”. Not knowing and essentially refusing to consider it knowable, is the new Faith. Distilling this mystery, even in imagination, to something that could be known and explained is like drawing back the curtain. Faith becomes the virtue of humbling accepting that I just cannot know and will not know and must bow before Uncertainty. He accuses the “New Atheists” of being just as fundamentalist as the Christian Fundamentalist from whom he has fled. However, fleeing from that malformed and crippled religion he cannot simply accept naturalism in spite of what his reason tells him and falls back into a sort of faith, which he assure himself is virtuous, desirable, and appropriately humble, in bowing to “not knowing” and worshiping the “unknowable” and “ineffable”. As seemingly profound and sophisticated as it seems, it’s really little different from fundamentalism. Yes, it does back down from the absolute certainty of dogmatism, but it still proffers another source of knowledge, one that is essentially subjective and personal and thus untouchable and non-falsifiable. It is a knowledge which is called “not knowledge”, which is placed outside the realm of reason and conception and can thus be delightfully and comfortingly vague, unchallengable and unexplained. It brooks no pesky and troubling questions. Any objections are dismissed with a wave of the hand and a pious nod to it’s deep and profound unknowable-ness; the true God that cannot be named or understood but only vaguely pointed at. In it’s vagueness, ironically, it is offered as a certainty, just not a clear, concise and precise certainly. Just meditate as long as I have, and you’ll know! Just relax you demand for answers and you too will know what I know. The result is that you can make statements or pronouncements about some of the most significant questions human being have ruminated over for centuries, probably millennium, assert they are true yet, frame them in the vaguest of terms with no attempt to mount an even plausible argument or the merest whiff of evidence. When challenged they can fall back on assertions that they are not interested in proselytizing or convincing anyone, that if you only follow a similar line of thought, perform the same practice or adopt the most appropriate mindset, you too will see the truth. You can assert the truth without asserting, state it without stating it or explaining it and believe it in spite of just about all reason to the contrary. You can, in short, continue to believe in The Wizard and his magic and hope for your brains or heart or courage or home even though it is all on you. You can believe the world is warm and snugly place when it clearly is not. You can hope someone is looking out for you when the universe really doesn’t care and will kill you at a moments notice. You can adopt a fantasy or choose to struggle to live with things as they are. It’s all still just smoke and mirrors.